American Airlines is making employees undergo anti-racism training after the NAACP issued a "travel advisory" for the carrier in October. "We are proud of the diversity and inclusion initiatives already in place at American, but we know we can do even better. So we viewed the feedback as an opportunity," CEO Doug Parker said in a letter to staff. The training program's curriculum is still being developed, and will be conducted both in-person and through an online module, according to a company spokeswoman. In October, the NAACP issued a warning to black fliers, urging them to be careful when flying American Airlines (AAL). The organization said it had noticed "a pattern of disturbing incidents reported by African-American passengers, specific to American Airlines," citing four examples of black fliers who were forced to give up their seats or were removed from flights. The NAACP, in a statement released Friday, said the organization supports American's plan, but will keep its travel advisory in place for now. 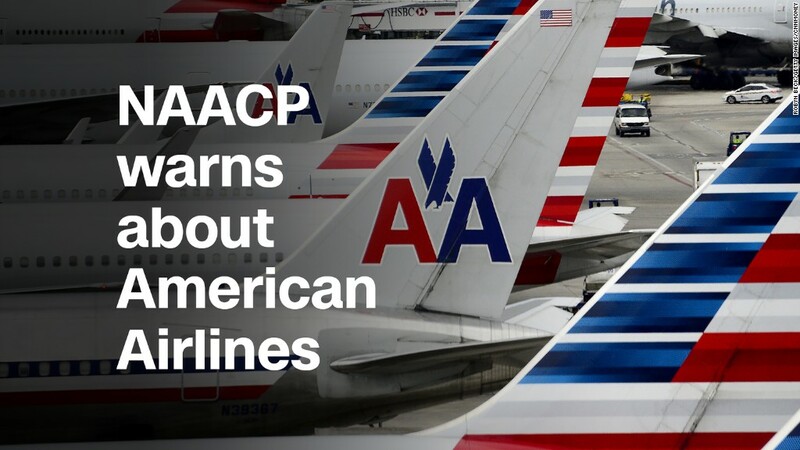 "We think we're on the right road, but the NAACP will continue to meet with Doug Parker and other senior‎ American Airline[s] employees to ensure that the company walks the walk as well as it talks the talk," NAACP President Derrick Johnson said. "American Airlines can set a new standard in corporate diversity and inclusion, and we are humbled by the opportunity before us to do so," Parker said. -- CNNMoney's Jon Ostrower contributed reporting.